Remember me? Once upon a time you were one of my favorite creative outlet. But, then life got in the way. I had a third baby. We got new admin and new curriculum. I am happy, no, Ecstatic, to announce, I am back!!!! Now, I haven't been completely absent. I have been blogging at Kinder Tribe and I have been posting on Facebook. I have also been creating and selling and Teachers Pay Teachers but again, not as much as I would like. I have so many UNFINISHED products to work on! This week, I should be finished with my August/September Interactive Math Games. The price of the GROWING BUNDLE will go up as soon as I add that. I also created a NEW CVC Unit. It will come in color an black white. Be sure to follow my store to see when it comes out. I plan on finishing Play Dough Growing Bundle this month. This month, I will also launch my Kindergarten Thematic Math Centers, Games and Exit Tickets. There will be 20 themes. Each theme will have 4 Math Centers, 4 Printables, and 4 Exit Tickets. The Exit Tickets will directly align with the Math centers. I am so excited!!!! I did create a single First Grade Scarecrow Math Centers, Printables, and Exit Tickets. You can check it out and get an idea of what it will look like. Would you like to see more of these first grade ones? Let me know! 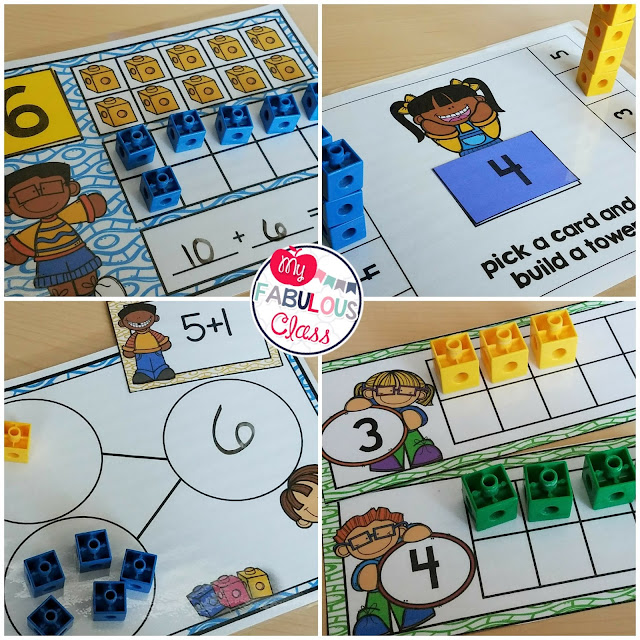 This past year, I updated some of my favorite Year Round Math Centers. 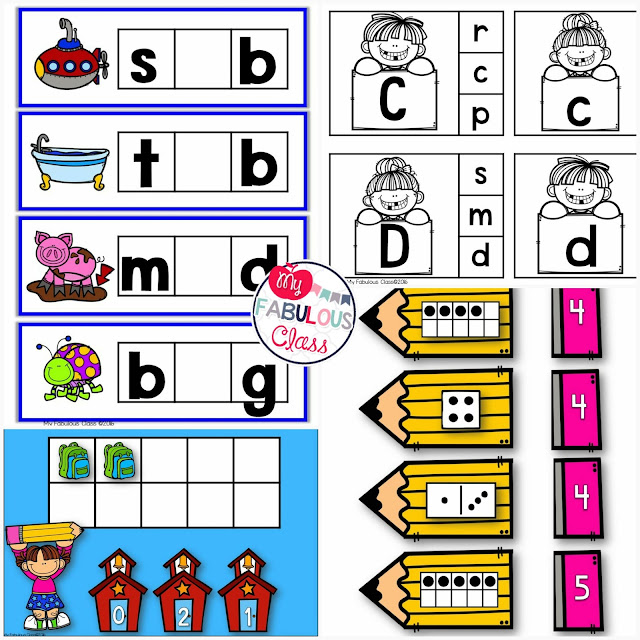 If you have purchased my Year Round Domino Centers, you can download the updated version free. It has new games, new graphics, and new fonts. 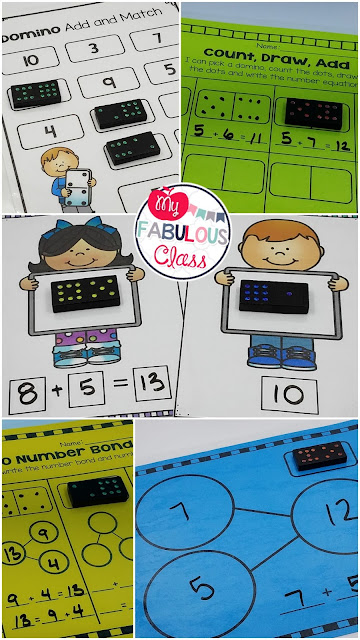 This is a must have for any Kindergarten or First Grade teacher. Unfortunately, I had to remove my Unifix Math Centers (unifix is copyrighted) from my store, but you will love my New Snap Cubes Centers. It includes new graphics AND new games. In fact, I added so many games, I created one unit just for Number Sense and one for Addition and Subtraction. Have you seen my new Eraser Math Centers. 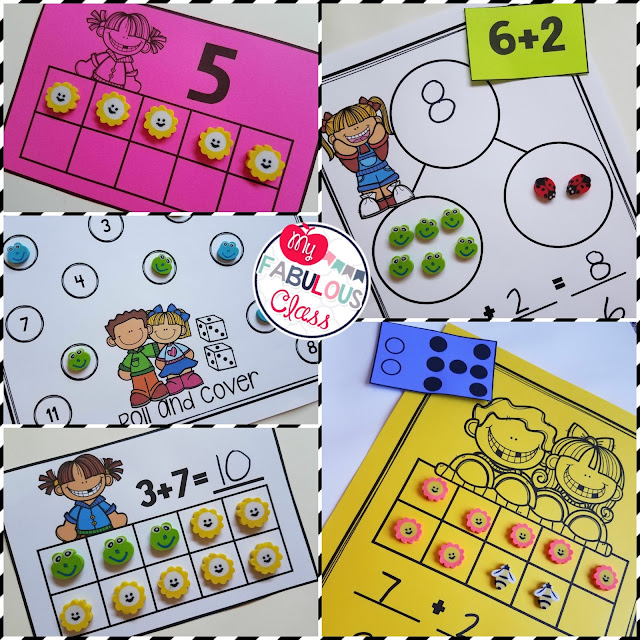 These centers can be used with ANY adorable erasers that you have. The centers vary in difficulty and can be used ALL YEAR LONG. 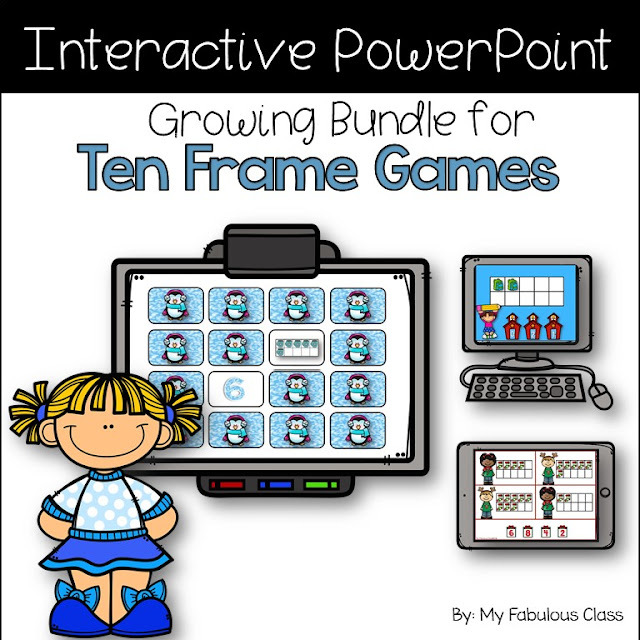 I created Interactive Math Games that can be used on any device that uses Power Point. This past year, my class played them on the Smartboard and on the classroom computers. This is a GROWING BUNDLE. Each month will be completed BEFORE the month it will be used in. Like I said, I will be finished with August/September this week and the price WILL go up. Now for today's Giveaway.... I have a TEACHER HAPPY PLANNER just for you!! !Yes, this EXACT one....and there may be an additional surprise included!!! I LOVED my Happy Planner this past year. This year, they are even cuter!!!!! The Giveaway runs until Saturday. You can pin a different image from this page every day for an additional entry! When will your winner be announced! ?